I got a package the other day from my good friend, Trevor, that had a bunch of trade bait inside it. 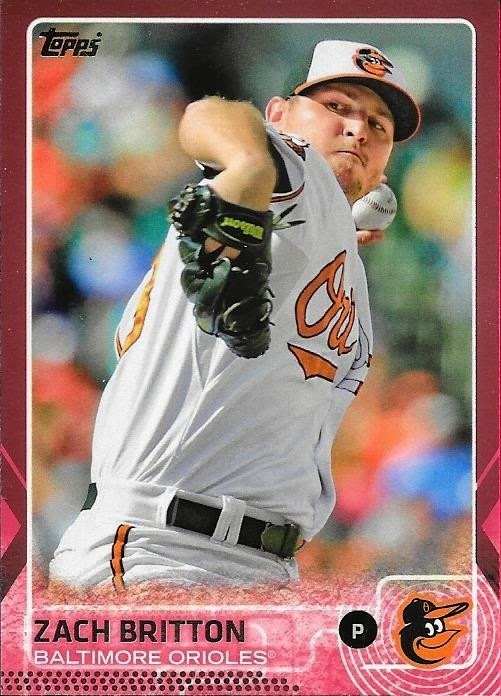 I have traded quite a few times with him lately, enough so that he is out of Orioles cards to send to me. So, to make up for it, Trevor sent me some stuff that I could use as trade bait to kind of repopulate my page. I don't remember what I sent him, but I think it was a few Reds autos and relics. Since I'm now out of Reds stuff, I need to work on finding stuff for him. So, I have now taken these cards from Trevor and listed them on my trade bait page along with a bunch of other stuff. Please take a look. These cards are also all listed on my Instagram account, so some deals may be pending. I've been trying to do a better job of keeping the trade bait page as current as possible. Thanks for taking a look! Also, while you're at it, please look at my COMC page as well. The link is posted at the top of the blog, underneath the Foul Bunt banner. Thanks for the cards, Trevor! 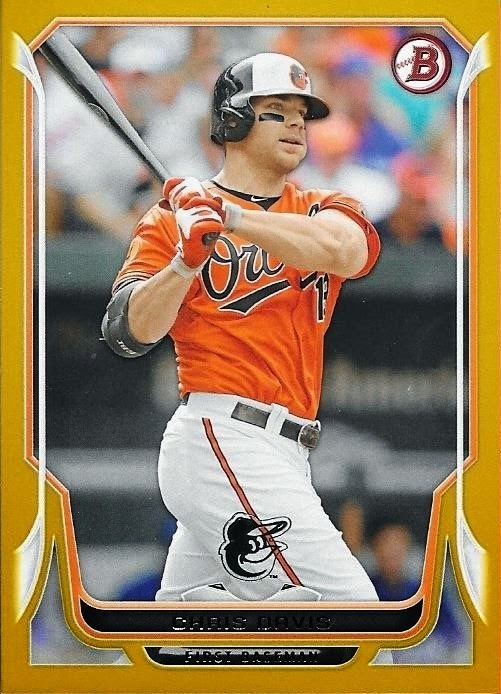 I picked up this nice 2014 Bowman Chris Davis gold parallel off of Ebay recently but had to wait a while before I could get it into my collection. The seller accidentally sent me someone else's winnings and sent this card to them. After realizing the mix-up, the seller contacted me with the proper address to send what I got in to and provided the other guy with my address. I made the swap and finally got my Davis in. Topping it all off, the seller was nice enough to refund my money because of the error. That helped cover me for re-shipping his package. The card is pretty sweet. It is numbered 41/50 and helps me out with the 2014 Bowman/Chrome rainbow. This is the gold paper parallel, by the way, if you couldn't already tell. I got an awesome care package in the mail from a guy named David who emailed me out of the blue saying he could finish my 2014 Topps Chrome set. He sent a ton of other stuff that will be blogged at another time, but the fact that my 2014 Topps Chrome set is complete is something I wanted to blog right away. Thanks so much for the cards, David. I really appreciate it! Instagram Trade With Jack P.
I completed a trade recently with a guy named Jack from Instagram when I sent him a C. J. Cron auto in exchange for this 2015 Topps pink parallel of Zach Britton. The Britton is numbered 48/50 and looks pretty cool. I like that they changed up the parallels a bit this year. They made them a lot harder to find, though. I opened my three jumbo boxes of Topps and pulled only a black parallel and none of the camos or pinks. I included a bunch of extras for Jack and he did the same for me. 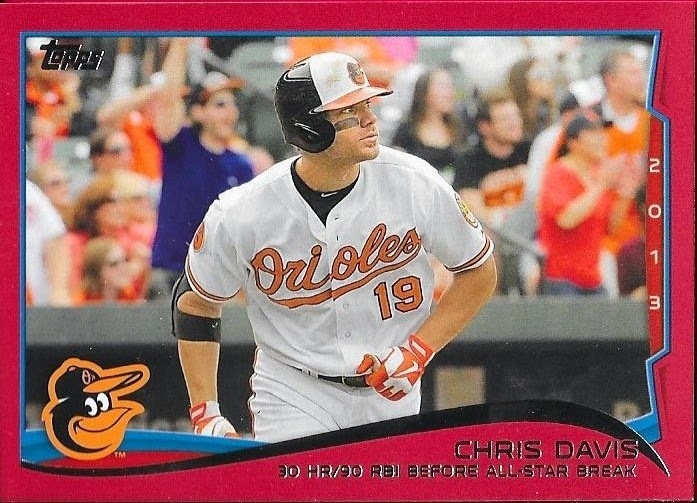 He actually included a few Chris Davis cards that I needed for my PC. 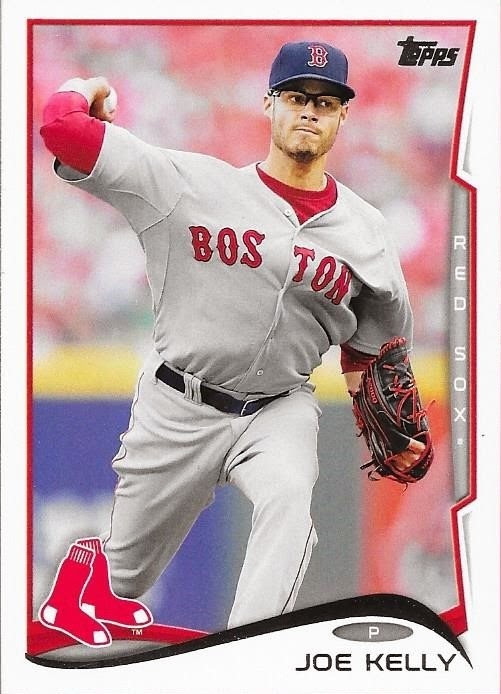 This Target red parallel from 2015 Topps was one of them, but I had bought one off of Ebay while this package was in transit. Dang. 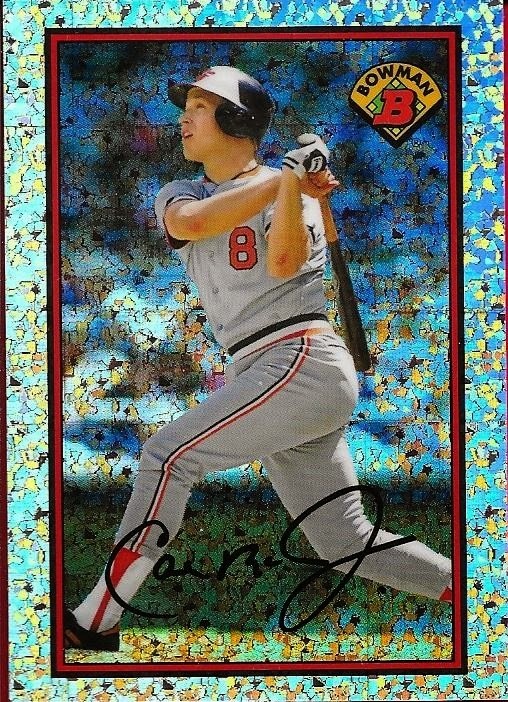 So, I will trade the red parallel that I bought to a buddy of mine and keep this one that Jack gave me. Finally, Jack included this blue parallel from 2014 Topps Opening Day that I also needed. He did a really good job of helping me with my PC. Thanks so much for the deal, Jack! 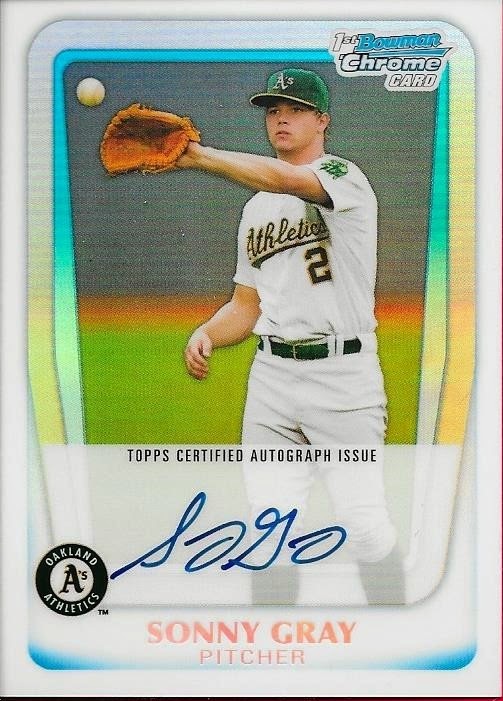 I completed a trade with a guy named Cameron on Instagram when I sent him a bunch of relics and autos in exchange for the above 2011 Bowman Chrome refractor auto of Sonny Gray. This is now my second Gray auto, but the fact that it is his "first Bowman card" and a refractor numbered 330/500 makes this a really awesome card. Another part of the deal that I pushed for was this 2006 UD Legendary Cuts relic of Jim Palmer. This was actually what started our deal. Cameron saw something he liked on my page and we went from there. I think it was a Bowman Sterling auto that I traded to him. 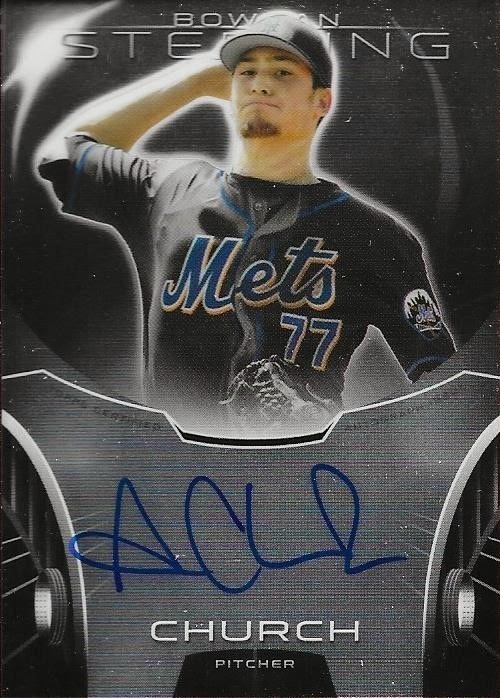 We started discussing a larger deal which netted me the Gray auto. It also landed me a new friend, as Cameron seems like a really genuine person whom I have talked to for a while since the trade. 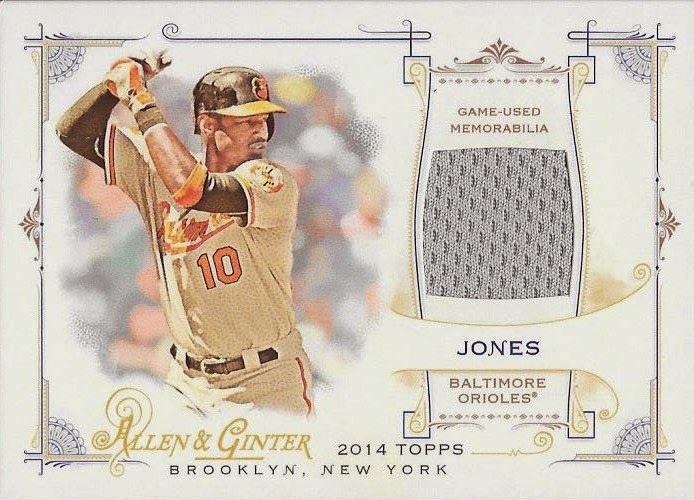 A throw in that Cameron included as a thank you for the deal was this 2014 Topps Allen & Ginter Adam Jones relic. I really appreciated the card and the fact that Cameron included it was really cool of him. Thanks for the deal, Cameron! I know we will do more in the future! I got a steal recently on Instagram when I picked up this Andrew Lambo gold chrome auto along with a Jonathan Schoop auto for about $6. This Lambo is numbered 9/50. Getting this card made it so I could trade my Lambo base auto for some other stuff. 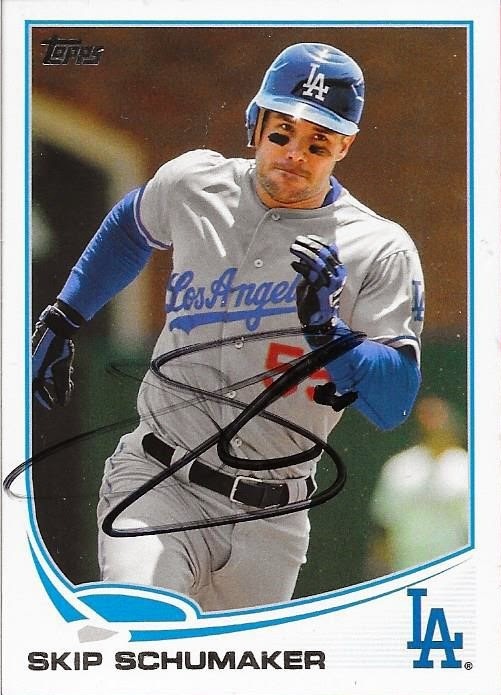 I like Lambo, since we got to see him hit a homer for AA Chattanooga when he was a Dodgers prospect. I went to that game with a former friend of mine and got the home run ball. Sadly, I handed it off to the friend, and now it is gone. Oh well. Anyway, I really like this card, and I'm glad I have the gold version. Much better than the base, for sure. The gold really matches the Pirates colors, so that works out for me. I completed a trade with Michael the other day when I sent him a bunch of relics, autos and inserts from 2015 Topps in exchange for this 2014 Topps Supreme Sonny Gray auto and the below Yoenis Cespedes from 2014 Topps Hi Tek. I guess I am going to be PCing Sonny Gray on a limited basis. Mainly relics and autos for now, I think. 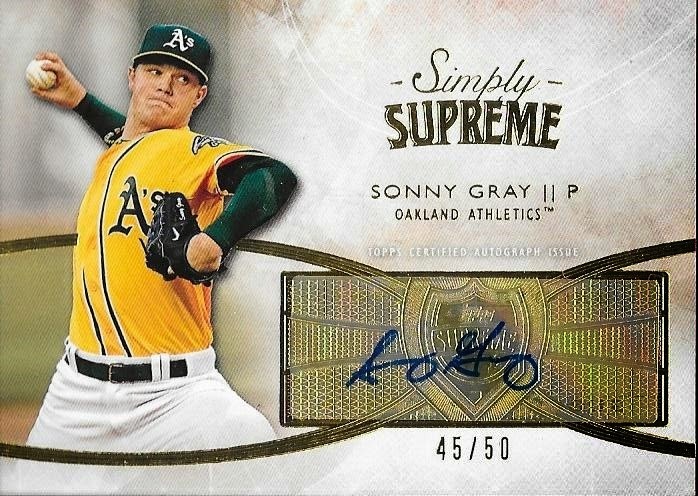 I do know the Topps Supreme card looks pretty awesome. I might have to add some Orioles from that set, if some good ones are available. I loved this Cespedes when Michael showed it to me. 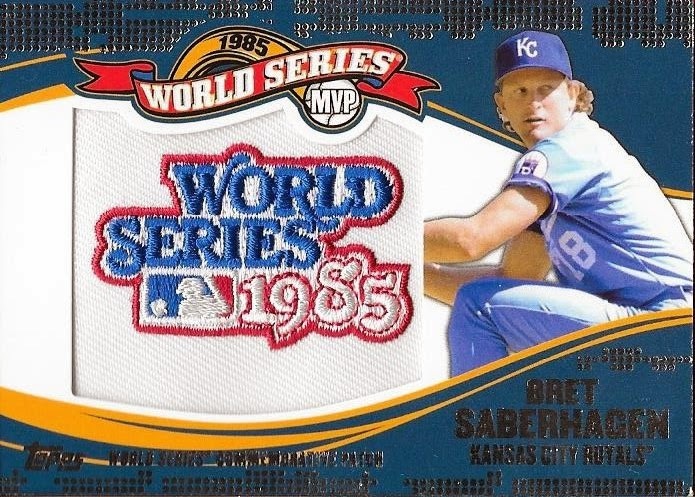 The card is numbered 19/50. It took me a while to figure out how to scan it outside of my normal way to scan. If I do it my normal way, I have to put something behind it or the computer breaks the image up. If I manually scan it, then it scans right, like shown above. Anyway, I figured it out, and it scanned well. I think the cards are so cool. I need to get some Orioles of these as well. Thanks so much for the deal, Michael! I got a package in the mail today from my buddy, Max. The stuff he included in the box will be saved for a later post, but I wanted to go ahead and close out 2014 Topps Update with this completer card that he sent me. So, I finally have this set closed out and I can take it off of my want list and notebook. I plan on doing another post tonight from some of my trade queue. I hope I get time tonight to get that done, but I need to get to Staples to get a couple manila envelopes for TTM projects I have cooking. We'll see how that goes. 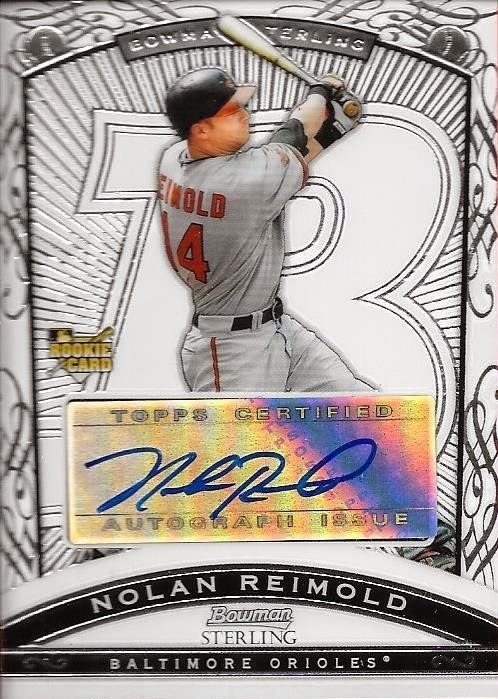 I took advantage of my good friend Ryan's desire to clean up some of his collection recently when I bought a ton of Nolan Reimold cards off of him for my PC. I went through my haves list and compared it to a list Ryan had of what was available and came away with 47 cards that I needed for my PC. 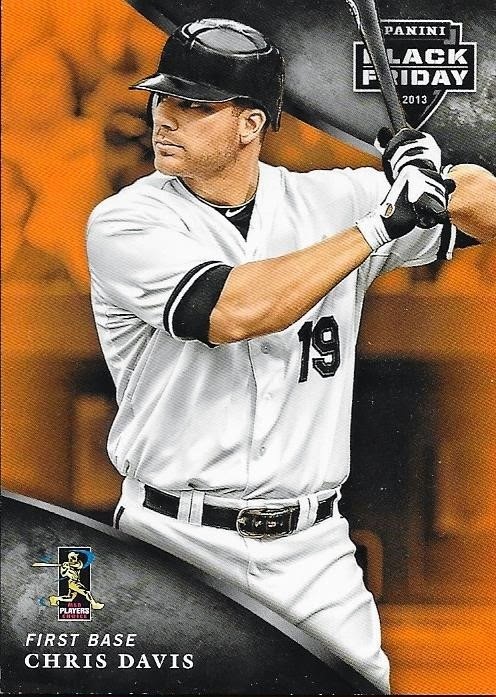 Most of the cards are numbered parallel like the above 2012 Topps Factory Set Orange parallel. This card is numbered 172/190 and the orange parallels are so hard to find. 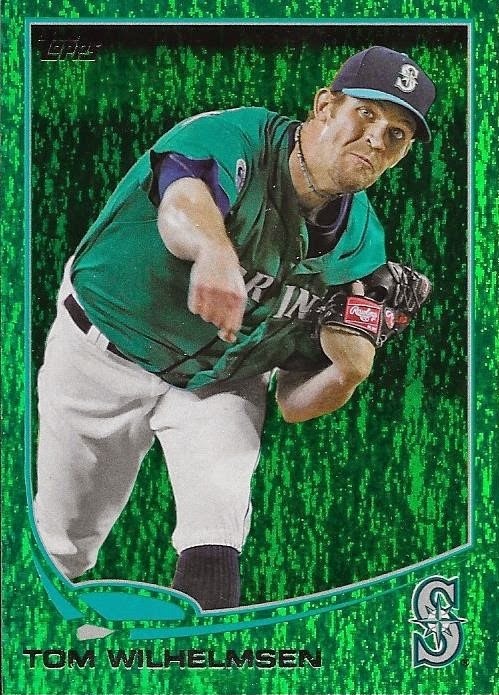 I can't believe I didn't have this sapphire parallel from 2013 Topps. This is numbered 15/25. 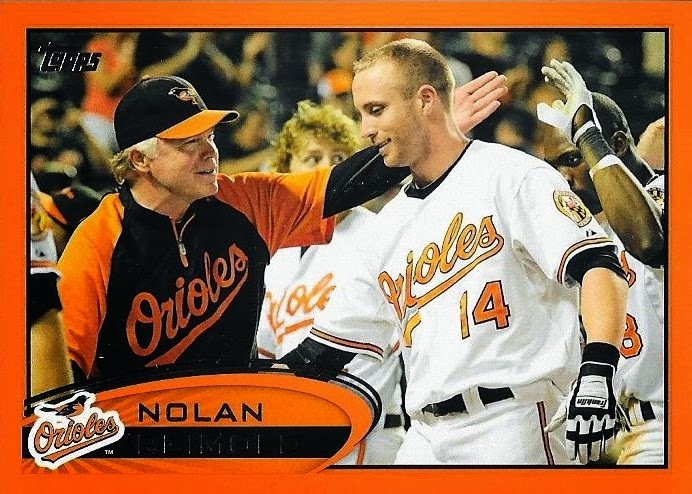 I also got a bunch of rookie and pre-rookie cards of Nolan. Here are four versions of his 2006 Bowman from the Futures Game. The blue is numbered 148/199, x-fractor is numbered 118/299 and the white paper is numbered 75/225. 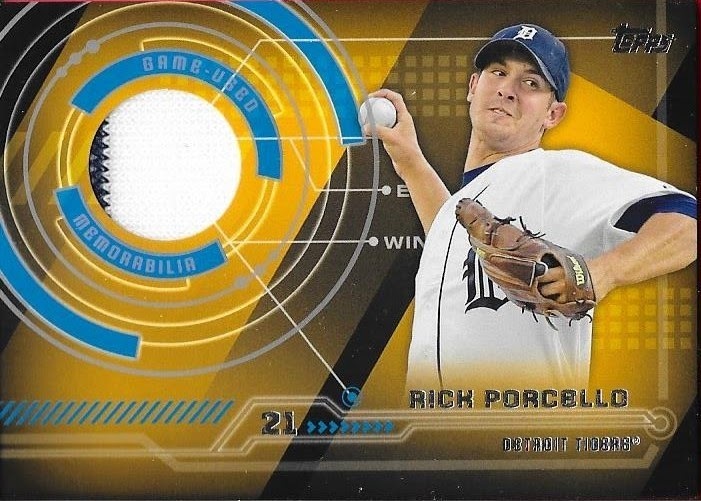 The refractor isn't numbered, but it was still needed in my collection. 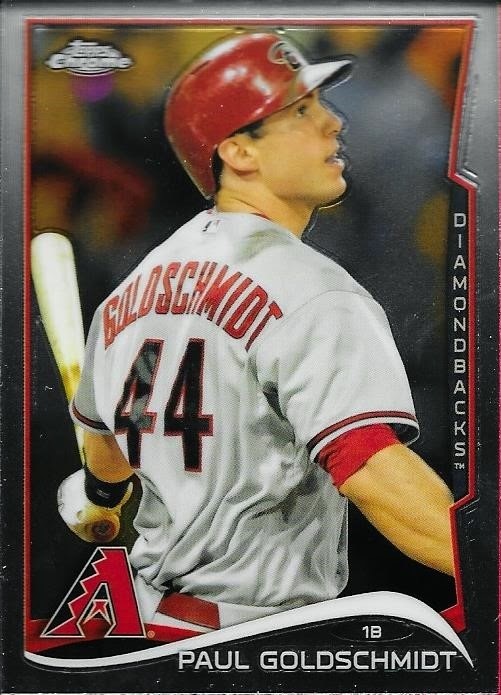 Here are some versions of his 2009 Bowman Chrome RC that I needed. Blue is numbered 15/150, X-fractor is numbered 90/250 and gold is numbered 42/50. I got a bunch of back variations like this 2013 Topps Heritage Venezuelan Black Back variation. I also got 10 different mini cards from Allen & Ginter and Topps 206 with varying backs. I had never seen this 2012 Sega Card Gen card, so it was nice to add to the PC. I got these two 2009 Topps Finest cards as well. These were redemption cards in the past that I had never jumped on. The left card is a refractor numbered 72/199 and the one on the right is the gold refractor numbered 4/50. 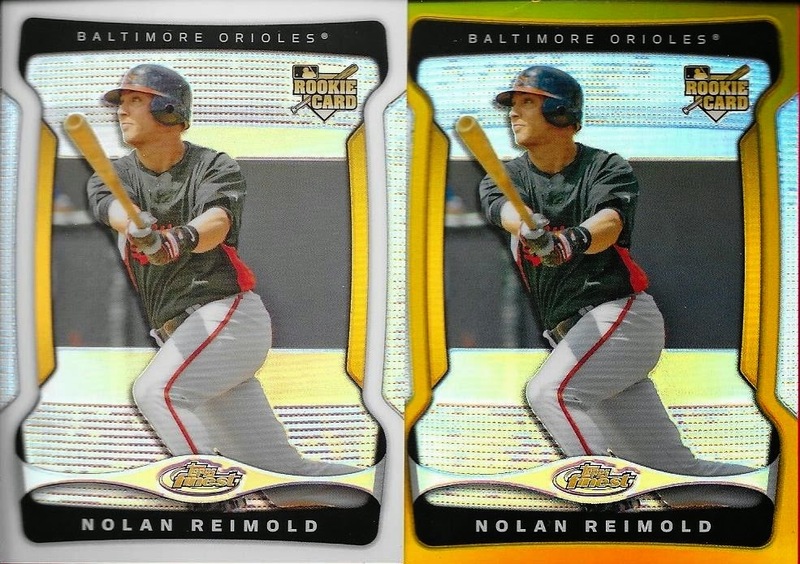 Finally, Ryan included a bunch of minor league cards of Nolan in the package. These are touch to find, but he had been working for a while on his Reimold PC. I know he hated to part with it, but he knew that I would take care of them all. I really appreciated all of the rarities and parallels that were in the package. It wasn't cheap, but I was glad to get them from Ryan, and I was also glad to help out a friend. 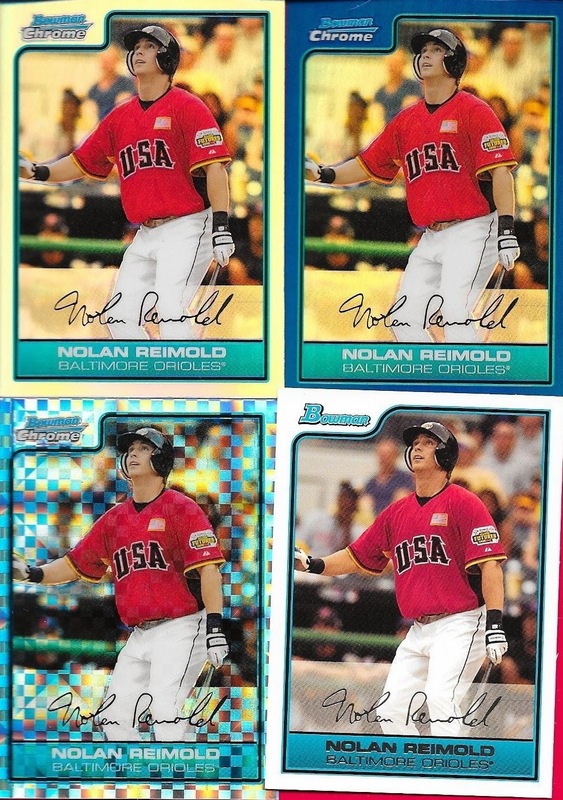 These Reimolds will be put into my PC and now I might be able to complete a rainbow or two. We'll have to see. In the meantime, check out Ryan's blog, O No Another Orioles Blog, and maybe talk him into posting more. Thanks for the deal, Ryan, I really appreciate it! I was really surprised recently when I got a Kik message from my friend near Chicago, Sean. He had vacated Instagram several months ago and stopped chatting, so I assumed that he found better things to do with his time. More surprising than his return was the fact that not too long after, I got a surprise care package in the mail from him. In the package was a good bit of Orioles stuff and according to Sean, some of the cards came from him and a few others came from his best friend, Alex, whom I also had chatted with and who had also disappeared. The above Bowman Ripken was a card that I needed in my PC< so that was nice. 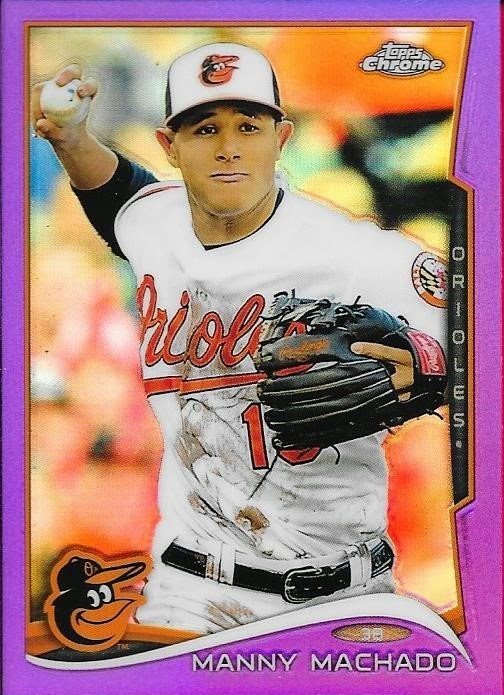 I also needed this purple Machado from 2014 Chrome. The purple cards look nice, I think. I hate that Sean felt the need to take off and not let me know what was going on, but I guess you can't expect folks you trade with on occasion to let you know their every move. Good thing is, he is back chatting and trading, so that's nice. I really appreciated the though with the care package. I don't get nearly as many of them as what I send out, so it's nice to get surprises in the mail. I completed a trade on Instagram recently when I sent a 2013 Topps Chrome Alfredo Marte auto to a kid named Ben. 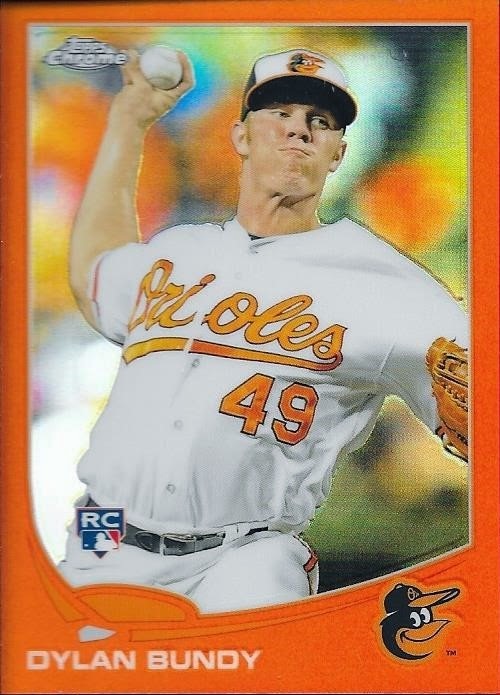 Ben, who goes by the name of Calicards sent me this orange refractor of Dylan Bundy. Also, its a RC! I was a little worried during the trade when Ben closed his Instagram account, but the card came on time. 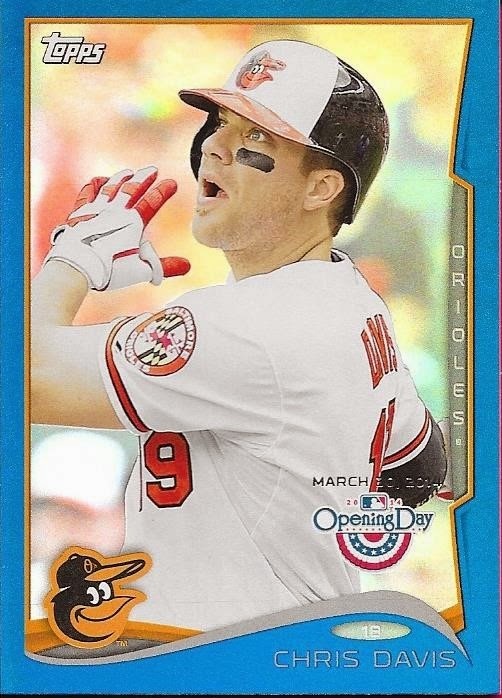 I don't even know if I had the card already, but I loved the orange parallel and was glad to get it. 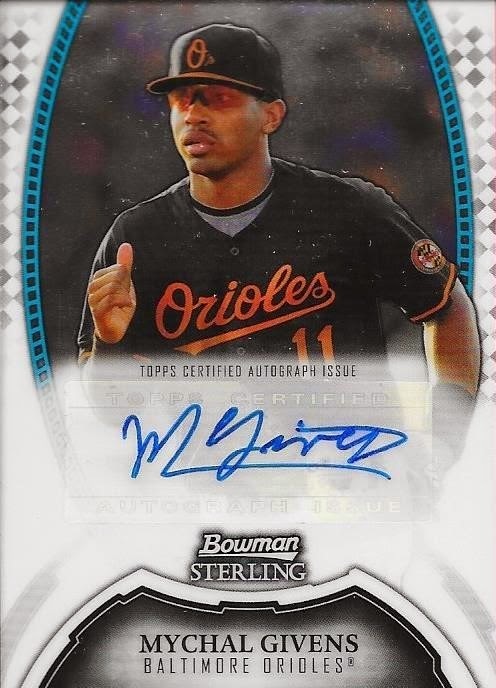 I had the Marte auto since I busted boxes back when 2013 Chrome came out, but had a hard time trading or selling it. I hope Ben liked it, because I liked my end of the deal! Man, this one scanned really nice. Take a look for a minute. I'll wait. 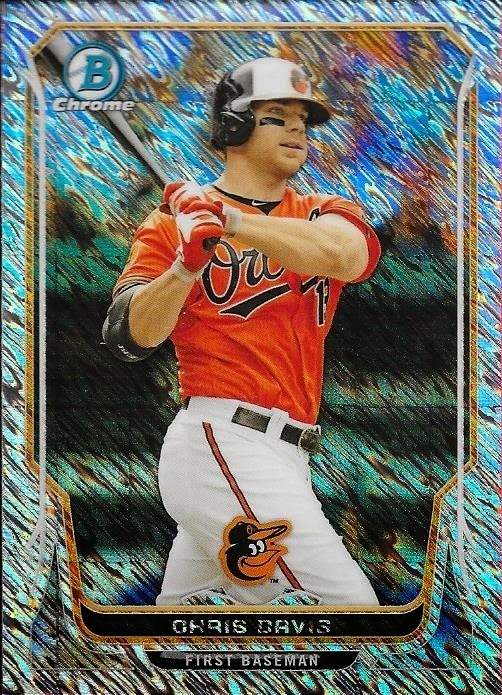 Ok, so I picked up this 2014 Bowman Chrome Chris Davis shimmer parallel for $14.31 shipped last week and it looks amazing. Numbered 9/15, I think I got a steal. 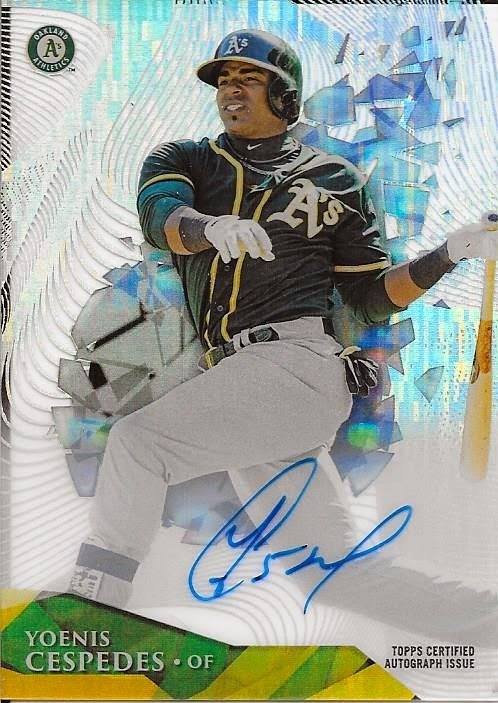 I know folks all around the blogs like to complain that there are too many parallels, but if Topps can do them the way they did the parallels in 2014 Bowman, that would be awesome. I now have the chrome base, carbon fiber (numbered to 10), shimmer (numbered to 15), bubbles (numbered to 99) and blue (numbered to 250). I don't know if I can get the rainbow done, but if I can add more of these cards, I'll be happy. I feel like 2014 Bowman and Bowman Chrome were very well done this past year. I could be inclined to open a box of Bowman Chrome at some point. They really are nice cards. 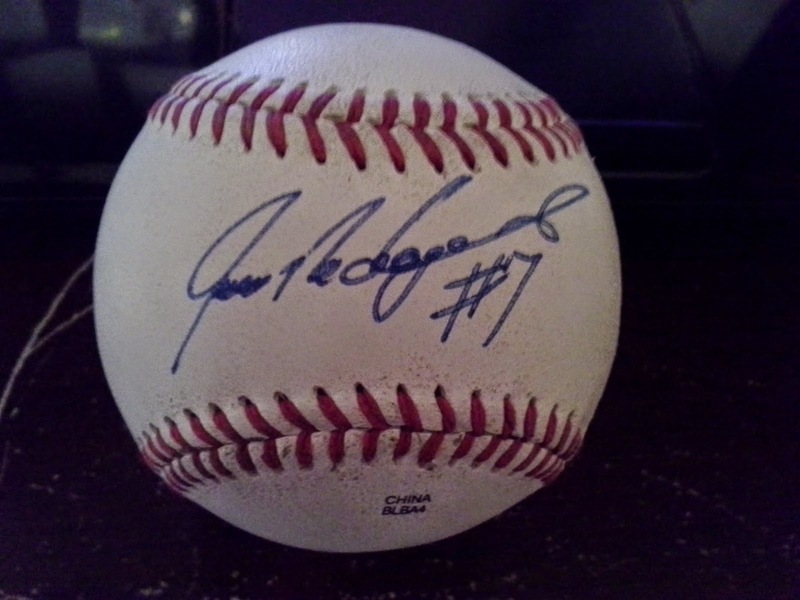 I completed a trade with my buddy, Sam, who sent me the above Ivan Rodriguez signed baseball and a Texas Rangers gnome. I have been friends with Sam for a while on Instagram, and we have made quite a few deals. I send him most of the Mariners cards that I come across, and he hooks me up with some IP autos and Orioles stuff. According to Sam, he met Pudge last year at an event and got two baseballs signed. One was an OMLB ball and the other was the ball that he sent me, a Texas League ball. The ball actually looks like it is game used. It might be, but I'll have to ask Sam to be sure. He provided me with a photo of himself and Pudge, even though I didn't doubt that the auto was legit. I'm going to hold off my normal recitation of Pudge's stats, since I believe he will get into the Hall of Fame soon. 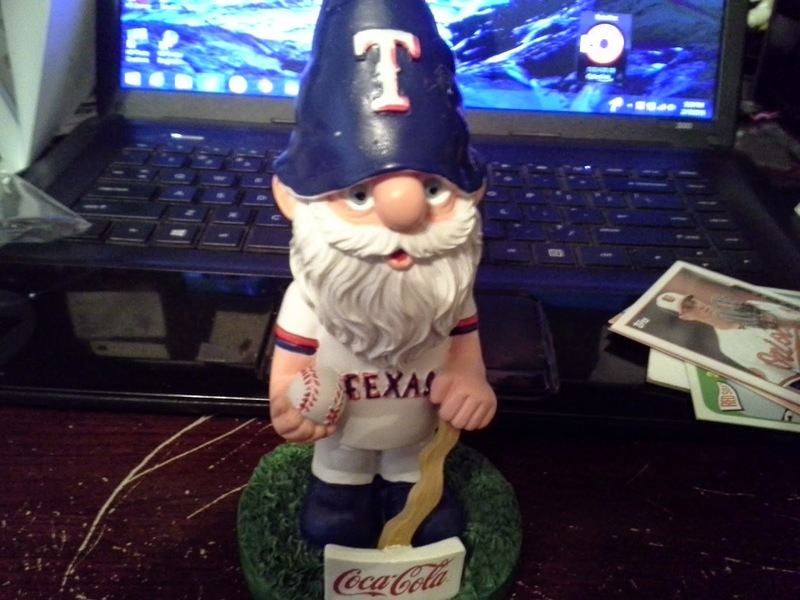 The other item (aside from a few cards) that Sam sent was this Texas Rangers gnome from a giveaway. I'm not a Rangers fan, but I love giveaway items. Sam included this gnome because I sent him some stuff (including a rally towel) from Orioles Fan Fest. This will take a nice spot in one of my display cabinets along with my bobble heads. Thanks so much for the trade, Sam! I really appreciate it. I hope we can get some more going, soon. I got two care packages in the mail recently from fellow blogger Adam from the blog: Infield Fly Rule. I lost count of how many team bags of Orioles and other assorted cards he sent, but it was a ton. It was tough selecting a few to blog, but I went with a couple I didn't have, and one nice RC that was in the bunch. 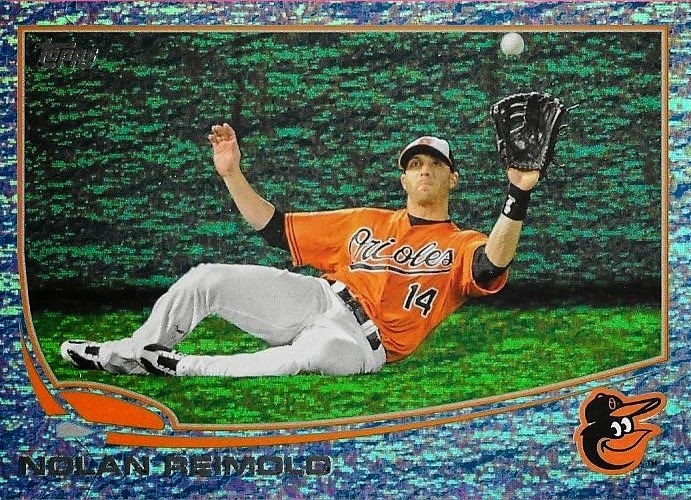 I didn't have the above Panini Black Friday Chris Davis, so this one was a welcome addition. I love the coloring of the card with the charcoal and orange. It really pops, I think. 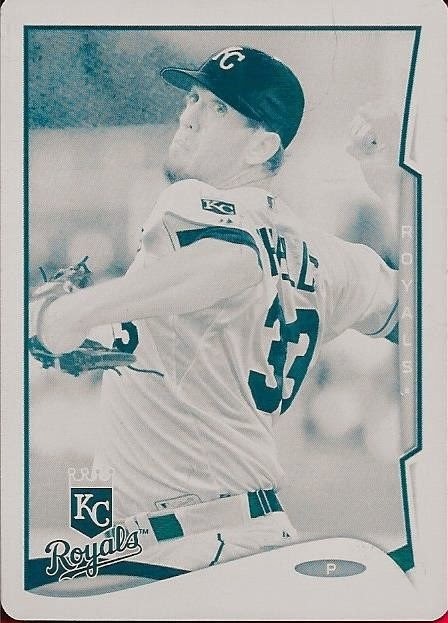 Adam found an emerald parallel for my 2013 set, which was nice. I haven't really been concentrating on the set like I should, but things should be picking up soon with my set building activities. 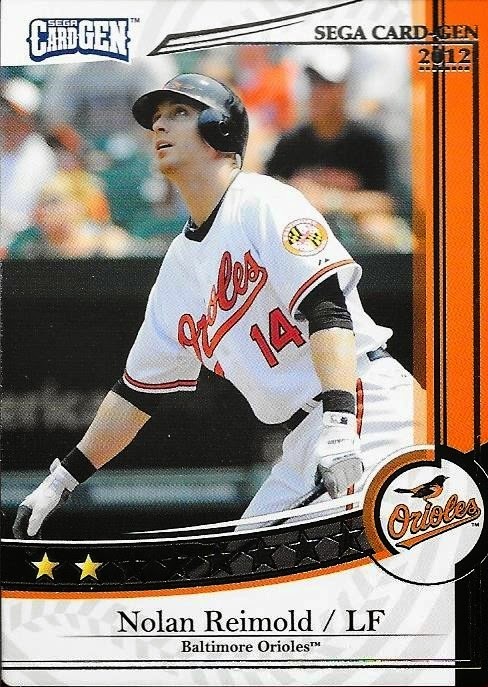 I didn't have this black parallel of Caleb Joseph's first Bowman card. I only have one of the base card as well. That's kind of weird, to tell the truth. 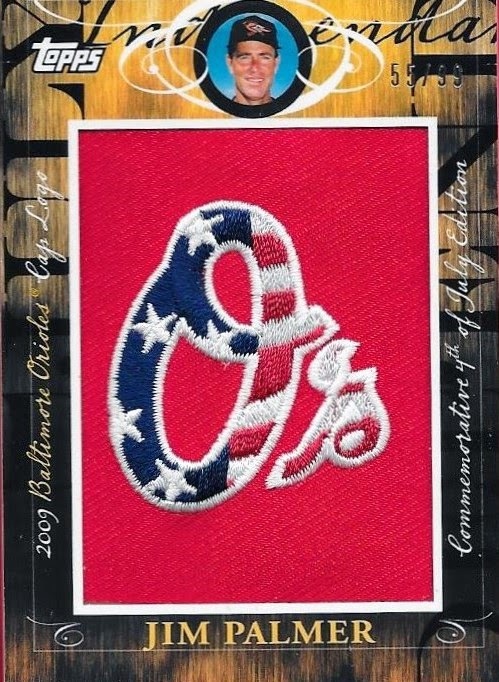 This one looks really awesome and will be put into my Orioles PC. 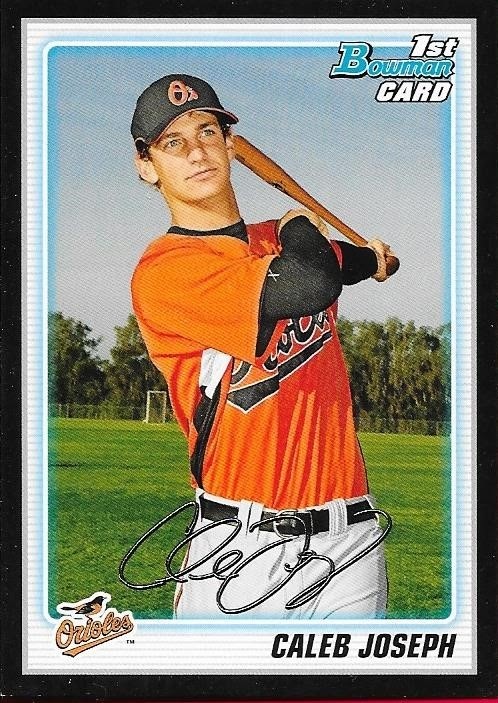 This makes only the second Caleb Joseph card that I have (you know, the base card I mentioned two seconds ago). 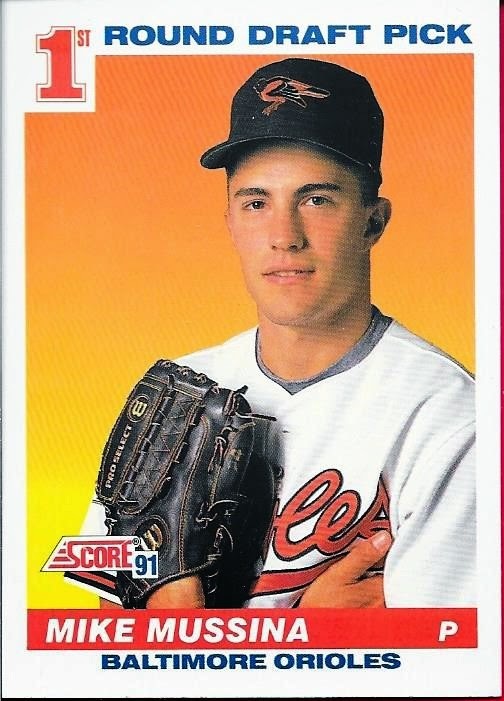 Finally, Adam sent this 1991 Score RC of Mike Mussina. I know I have one of these around here somewhere, but now, I have this one and I can easily place it into my RC box, instead of searching for the other one. Who knows where that one is. So, thanks for the care packages, Adam! It is really appreciated. I'm sorry it took me so long to get these posted, but with the snow days in the area, I should be catching up somewhat. I wrote the other day (here) about my close friend, Michael, and how he hooked me up in our latest deal. Actually, this post will consist of cards from our TWO most recent deals, because I needed to get them up quickly before our NEXT deal comes in! Michael really hooked me up with a ton of relics, autos and a sprinkling of vintage here and there. I think it might have been reward for my getting him back into cards, or one might also think it was as a reward for the amazing friendship that I provide. Ok, I'm being facetious, it WAS because I got him back into cards. He normally specializes in game used memorabilia, but he has expanded his collection into cards recently. 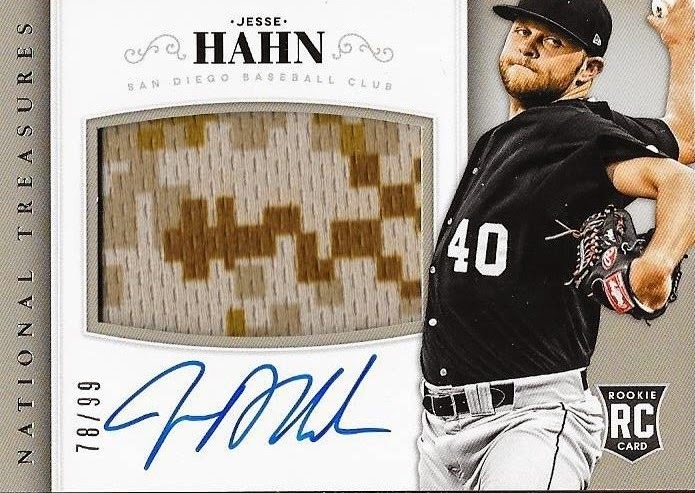 Cards like the above Jesse Hahn are what usually catch his eye, but he also likes to flip them, if necessary. I made him a great deal with some autographed memorabilia from Fan Fest in exchange for these and the Chris Davis laundry tag card from the previous post that I mentioned. The Hahn is a really awesome card. I think I'm going to hold onto it for a while. 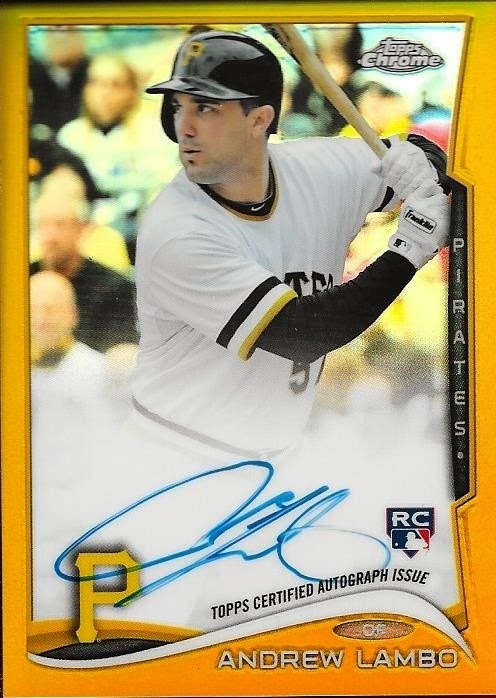 A lot of the autos/relics that he included were intended to help me repopulate my trade bait section, but this card will be off limits for the time being. It's just too cool. 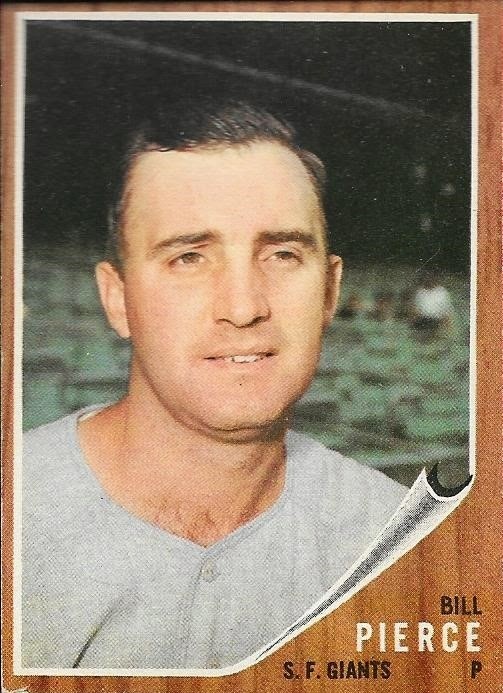 From the trade prior to the laundry tag deal, came this 1962 Topps Billy Pierce. Michael knows that I enjoy my vintage and offered up this Pierce, along with a couple other vintage cards at a really good price. I went ahead with the deal, since I knew he was saving money for Fan Fest. This deal was really facilitated because I was wanting to help out my friend. 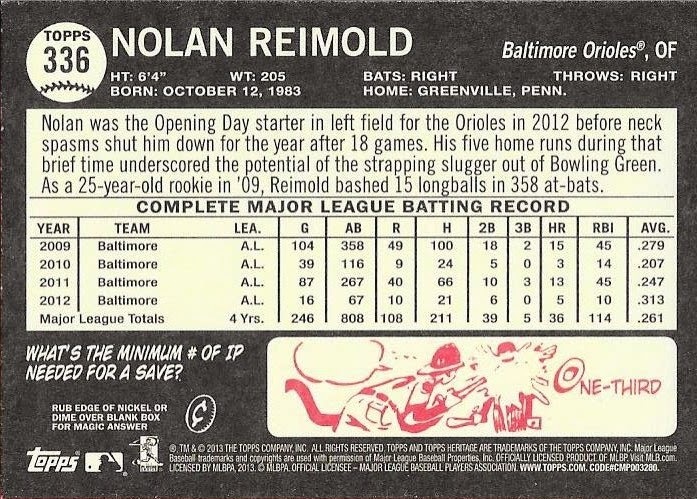 I already had three of the 2009 Bowman Sterling Nolan Reimold cards, but I got this one off of Michael in order to complete a months-old deal with his little brother Jacob. I sent Jacob a few Orioles relics/autos in return for this card. Also, in return for my deal, I got a phone call from Jacob himself, which was really welcome. Like Michael, he is a really good kid. As throw-ins to our mega trade, Michael gave me two of these 2011 Bowman Sterling Mychal Givens autos. Givens is still in the Orioles farm system, having been transitioned from infielder to pitcher. He should start the season at AA Bowie, and could be a sleeper to make the major league team in the bullpen this summer. I do intend on using some of the autos Michael sent me as trade bait. He included quite a few Bowman Sterling autos like this Andrew Church. I already have agreed to part with a Phil Ervin auto and once I post the other cards, they are sure to land me some deals as well. 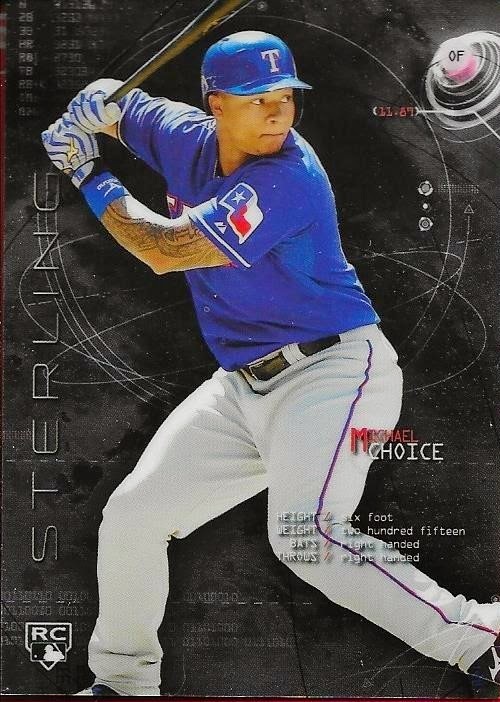 I also got some of Michael's 2014 Bowman Sterling base cards. These cards look really awesome! This Michael Choice is already earmarked to go to my buddy, Max, but some of the other base will likely be traded to other folks. 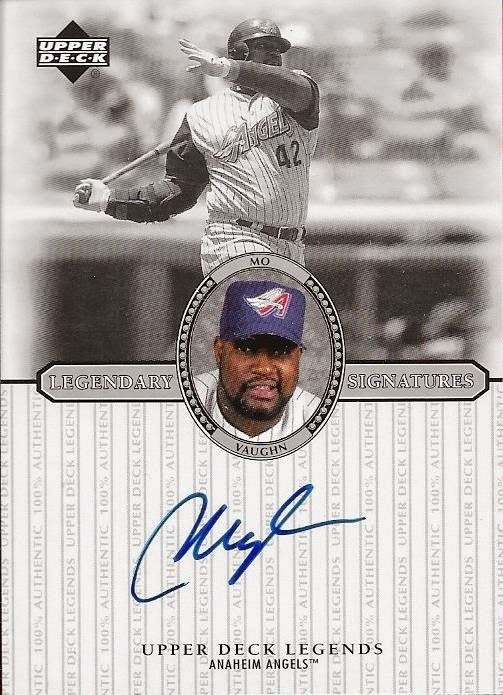 Mo Vaughn hasn't made much of an appearance on this blog, but in his day, I liked him pretty well. A massive human being, Vaughn had a respectable career, which was capped with an MVP award. This on card auto is really nice and I plan on holding onto it for a while. I like Sonny Gray. Michael knows this. He sweetend our deal by adding this Gray booklet so he could get a few more Orioles autos off of me... even though he knows that he was getting them from me any way. Speaking of Gray, I don't know if I offically PC him yet, but I do have a couple autos of his coming in. I just think he is a really good pitcher, and I intend to follow his career closely. Who knows, maybe Billy Beane will trade him to the Orioles at some point. 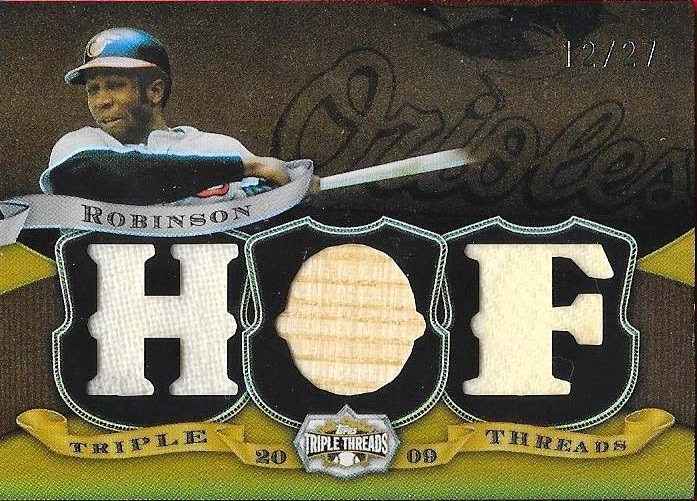 Speaking of Orioles, Michael hooked me up with this awesome Frank Robinson 12/27 Triple Threads triple relic card. Why 27? Hell, I don't know, but it is a really nice card. Finally, this might be the most underrated piece in the deal. This is a bat relic from Hall of Famer, Dave Bancroft numbered 43/99. While looking at Bancroft's stats, it appears that he was one of the many HOFers who benefited from lax Veterans Committee voting, but a Hall of Famer is still a Hall of Famer. 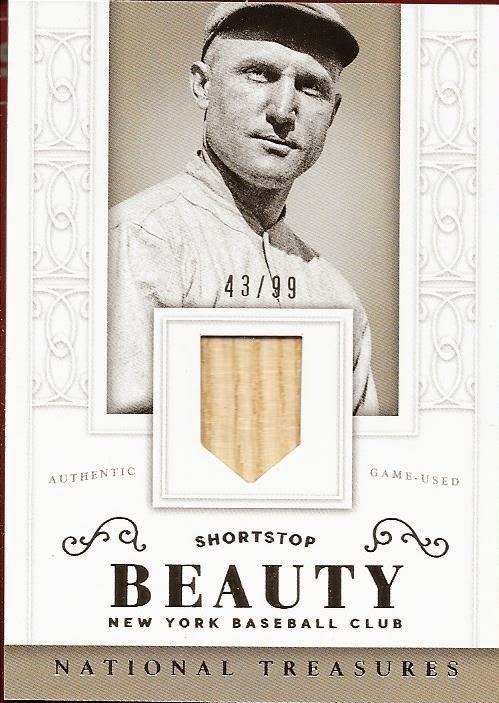 I had nothing of Bancroft in my collection, so adding this card was a must. So, thank you so much for the many deals that we have done in the several years of our friendship, Michael! A person that I met strictly through the blog has grown to be one of my closest friends and I can't be more appreciative. He is one of the reasons why I love this card community. If you guys haven't checked out his blog, please do. You can find it here. 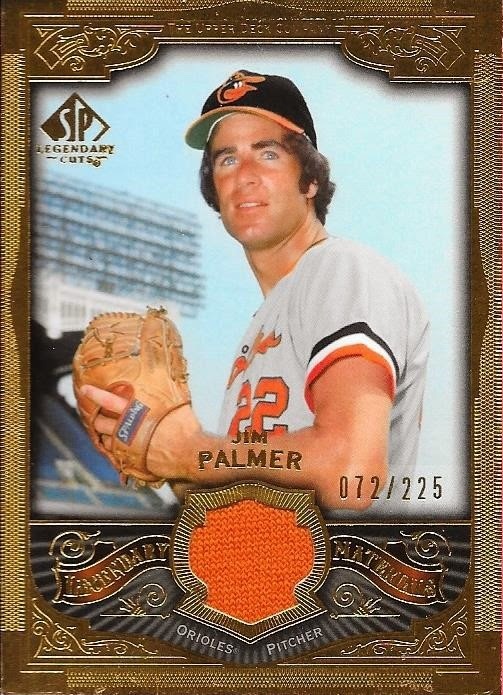 I got this really nice Jim Palmer manufactured logo relic the other day from Chris. He randomly walked into my office room at the house and said he wanted me to have this for Valentine's Day. He bought this card at the last card show we went to together with his own money. I don't remember what he paid for it, but it was really cool that he saw it, liked it, and picked it up. I really thought he was going to hold onto it, but he gave it to me. It was really sweet. He handed it to me and said "I wanted you to have this, Daddy." and gave me a kiss. He doesn't get on his blog much, but it is still there. I'm hoping he gets back on there, soon. Thanks for the gift, buddy, I love you! 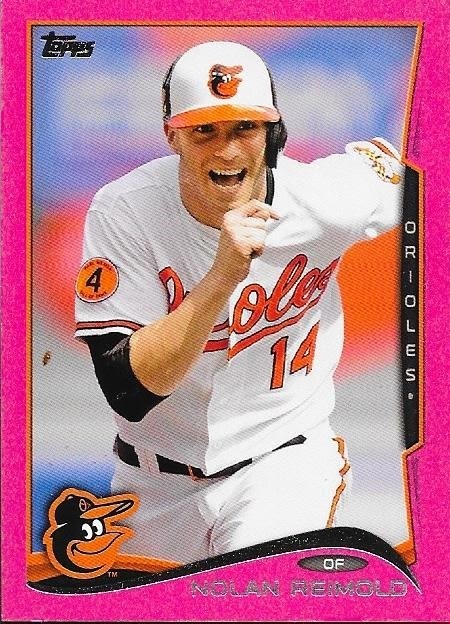 I picked up this really awesome 2014 Topps Mini Nolan Reimold pink parallel off of Ebay recently when I got a payment in from my buddy Michael for a ball I got him at Fan Fest. I went through my "haves" spreadsheet with Andrew and we settled on some nice PC cards that I needed to add for respective rainbows. I need to get a box or two of 2014 Mini, since they are so cheap. I really need to hit up some more Davis parallels, especially since I have the platinum parallel. I really like the pink parallels. This one really stands out. The card is numbered 4/25. You guys have heard me talk about my great friend, Michael, quite a bit on here. 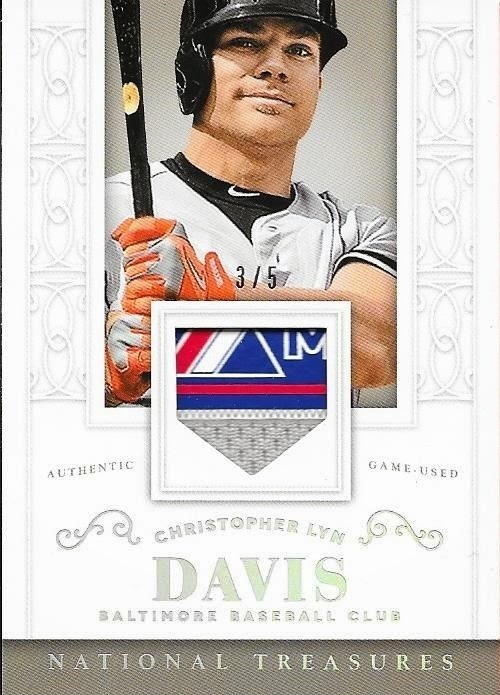 He and I completed a massive trade the other day when he put this amazing Chris Davis 2014 Panini National Treasures laundry tag card. This card is just awesome. I mean, really awesome. Michael valued it so ridiculously cheap, I had to jump on it. I traded him a few signed baseballs and some signed post cards for it and a bunch of relics and autos that I'm going to use to refill my trade bait section. I think Michael has realized that I'm terrible at the upkeep on that page, so he assisted me in getting some new stuff to populate it. I really appreciated how he looked out for me on this card, and the other stuff he sent me. He could have commanded a premium on the Davis tag card, but instead, valued it at cost. He has always done right by me, and I won't forget it. This Davis card is now a key centerpiece in my collection, and actually, I think it will take a place in my China cabinet, next to my Jimmie Foxx booket card. Thank you so much for the deal, Michael! I really appreciate it, and I will break the rest of the stuff up into additional posts, to be blogged in the future. In the meantime, please head over to Michael's blog and give it a read. He has been posting more and more lately, and has actually conducted quite a few interviews recently. You can access his blog here. I got a Kik message the other day from my buddy, Bryce, showing me this sweet Carlos Gomez patch card that he was hoping to be able to pick up. Bryce was a little worried, though, that he wouldn't be able to raise enough funds fast enough, before someone else jumped on the card. I had a little money in my PayPal, so I was willing to help him out. While looking on his page, I noticed that he had a few vintage cards that I really liked, so, instead of contributing a little bit toward his cause, I ended up putting him over the top of what he needed. 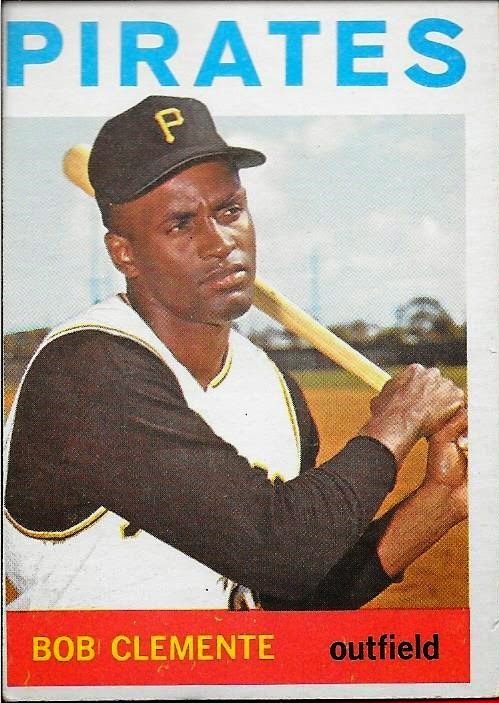 The above Roberto Clemente was the card that was the key to the deal, for me. 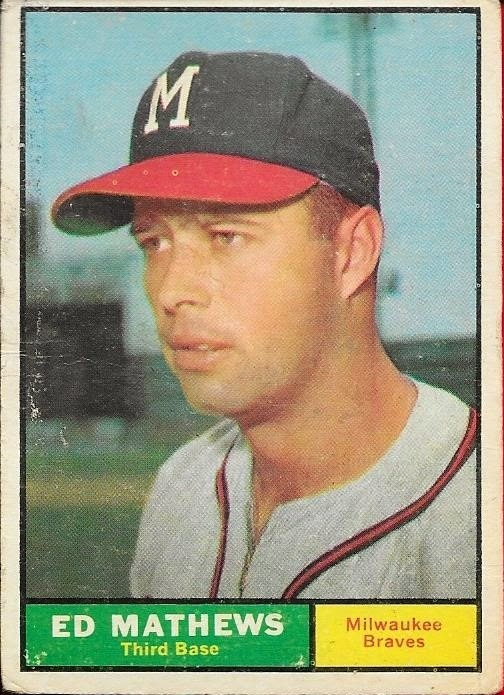 I knew I had my '64 Mantle coming in, so I figured if I could get this one as well, I would be well on my way with the '64 set, whenever I decided to start it. The card is in great shape, regardless of the bad centering. The corners are sharp, and there are no creases. Bryce was really reluctant to let it go, but he knew I would give the card a good home. I have picked up a few '61 Topps cards here and there, the Ernie Banks being a key one, so I was happy to see that Bryce had this Mathews available. The '61 set is another of those early 60s sets that I want to get moving on, but will have to wait until I get some others completed. Here is yet another set that I already have a good head start on, being that I have the Ernie Banks and Sandy Koufax in my possession. 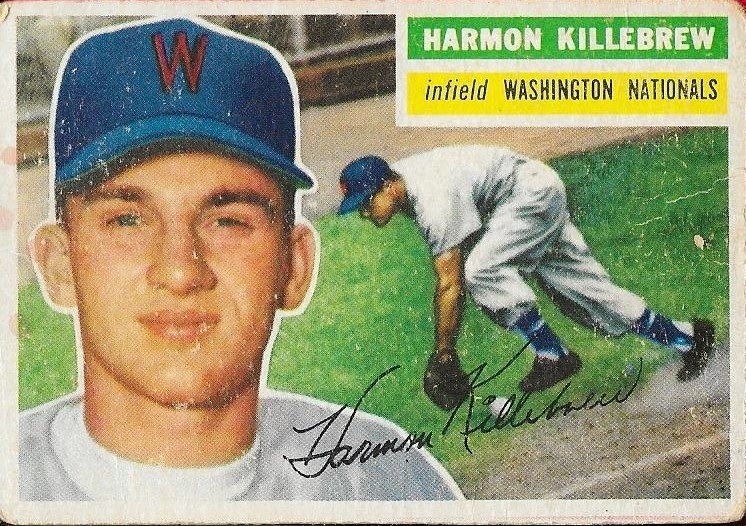 This Killebrew second year card has soft corners, but is otherwise in pretty decent shape. 1956 Topps has grown on me, and I wouldn't be surprised if I get the urge to start building this one if I can get some others out of the way. I was really happy with the deal with Bryce. He has quickly become one of the people I talk to the most from Instagram. He wrote me a really nice, long note that he included with the deal, and you all know that the notes are my favorite part of any package. Thanks for the deal, Bryce! I hope you enjoy your Carlos Gomez patch card as much as I enjoy these sweet vintage cards!